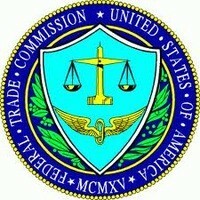 February 4, 2013 The FTC has set new guidelines for mobile equipment. These guidelines are expected to enhance user privacy including the privacy of children. Many mobile devices and the applications (programs) that run on them can track your browsing history, your physical location, email contact lists, personal photos or other media stored on your phone, tablet or other mobile device. All of this without ever letting you know they are doing it. Many of these applications either don't warn you that this information is shared or warn you in such an obscure way that you may agree to terms you don't actually understand. Since a large number of mobile device users are children the FTC wants vendors to give users and parents of users more control over what data can be shared with others over these devices. "The mobile world is expanding and innovating at breathtaking speed, allowing consumers to do things that would have been hard to imagine only a few years ago, These best practices will help to safeguard consumer privacy and build trust in the mobile marketplace, ensuring that the market can continue to thrive." -- FTC Chairman Jon Leibowitz. " The FTC made these decisions based on data supplied by trade associations, academic organizations, privacy groups, and public comment. Into this mix the FTC added its own experience with mobile privacy issues. The report finds that consumers need more control over what is and is not accessed by third parties and the Commission recommends that consumers should be supplied with a means to give tacit consent before information is shared on these devices or the programs that run on them. This information includes such items as geolocation (where the user's phone is physically located), contacts from the phone and email lists or other stored data, including photographs and media recordings such as sound and video. Additionally, the FTC suggests that application programmers and mobile device manufacturers supply the user with a "dashboard" that can allow the user to monitor exactly what is being shared and with whom. This dashboard would also allow the user to easily change "shared" settings. The agency is also suggesting that mobile platform vendors and application developers consider the possibility of giving clients a "Do Not Track" feature similar to the "Do Not Call" phone list also administered by the FTC. This way third-parties including advertisers, games, and other applications would not be able to keep track of users mobile device habits if those names appear on that list. Finally, the report recommends that all such applications have a easily accessible feature that allows users to turn on or turn off these intrusive tracking features. To this end the FTC is asking for developers to jointly come up with a "best practices" standards for maintaining user privacy. These best practices guidelines would include standards for privacy and include an education channel to inform users about privacy issues and concerns. In this, the FTC is recommending that the industry police itself. By FTC estimates, nearly two hundred million (207,000,000) smartphones were purchased by the end of 2012. Findings suggest that these phones are not just adult purchases, but a sizable portion of those sales were for children. Last year, the FTC issued a strongly worded warning to technology firms including, but not limited to Apple and Google regarding privacy issues with minors. As if to prove it's point, last Friday the FTC fined Path Technologies $800,000 based on allegations that the social networking application collected data on children without any parental consent. These recommendations extend not only to firms such as Apple, Google, Amazon and Microsoft, but also to smaller firms that create the applications themselves. The guidelines are also designed to encompass the data recording habits of advertising networks, analytic firms and trade associations. At this point in time this report and the guidelines are non-biding. If web-sites, mobile device, and smart phone manufacturers and their programmers follow these recommendations we should see privacy statements and "opt-out" options more prominently displayed on our devices. We could even see a unified dashboard for all applications regardless of vendor. All of this could happen in less than a year. The author was not compensated in any way; monetarily, with discounts, or freebies by any of the companies mentioned. Though the author does make a small profit from the advertising attached to this article, the author has no control over either the advertisor or the contents of those ads. Will device manufactuers follow FTC guidelines? No, they will ignore these recommendations. They will come up with measures that do not quite follow the recommendations given. The National Broadband Plan, unveiled March 16, 2010, is an FCC road-map which details plans for providing broadband Internet access for the entire country by 2020.